The plane landed, we walked down the jetbridge, and stepped into the Zurich airport. Our first sight in Europe: security guards holding automatic rifles. Definitely not in the US anymore. Airports are intimidating and frantic anyway: people running, announcements over the loud speakers, angry trolley drivers honking, and all the while you are carrying bags that are getting heavier by the second—throw in a foreign language and you have a recipe for stress. Next thing I know, we are on a train on our way to Überlingen, Germany. As life often happens, you imagine one thing and in reality it is something completely different. Riding through Switzerland on a train I thought I would see rolling hills, cows, maybe someone yodeling—no, we rode along a highway and the barriers were covered in graffiti, a lot of graffiti. 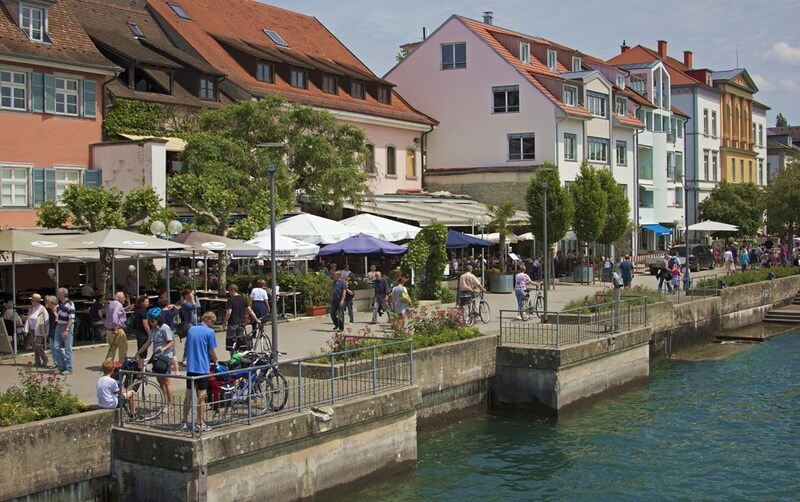 However, when we arrived in Überlingen and stepped off the train, I wasn’t disappointed. It was beautiful there. Old Tudor-style homes with ivy growing up them; bakeries emitted the smell of fresh baked bread; doors that predate Napoleon; hilly roads paved with stone. We walked through this tiny town carrying all of our bags until we found our flat. Our landlord, Harry, had the essence of a surfer about him; his shaggy hair fell to the shoulders of his Hawaiian shirt. He welcomed us with a hug and showed us to our apartment. The old wooden floors creaked beneath our feet and the curtains caught in the wind from the open window. 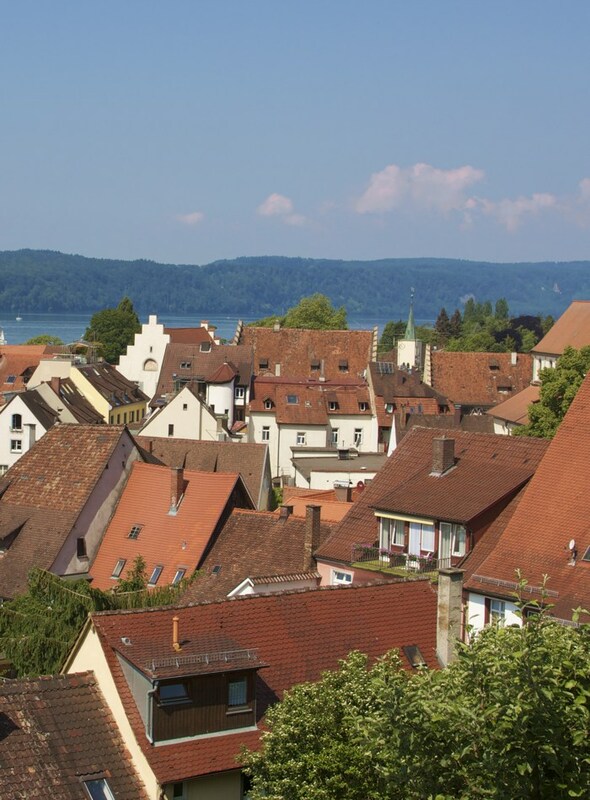 We stepped onto the balcony and took in the view of old slate roofs and the sparkling water of the Bodensee. There is something so amazing about seeing a sight in person that you had only seen online or in a magazine. 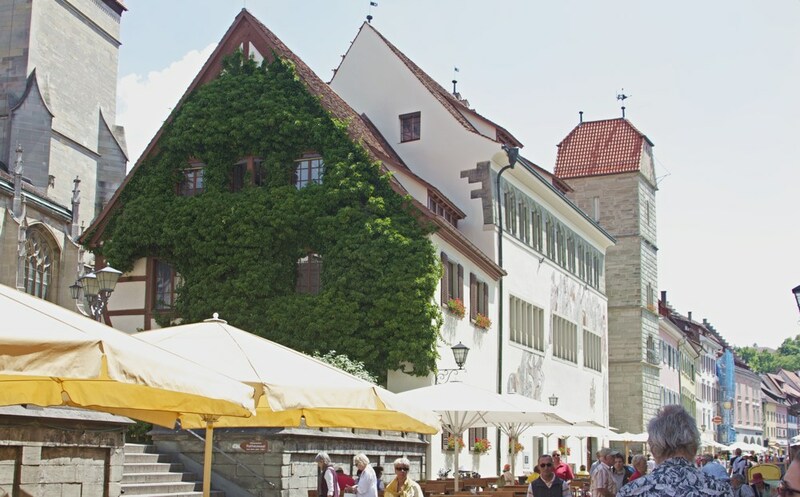 Überlingen is a really fun place to visit. You can get a slice of what life is like in a small European town when you’re there. In the morning you can walk to one of the bakeries and order a milchkaffee and danish. On Wednesdays and Saturdays, visit the square and purchase straight from the source: fresh fruit and vegetables, cheese, and cuts of meat. 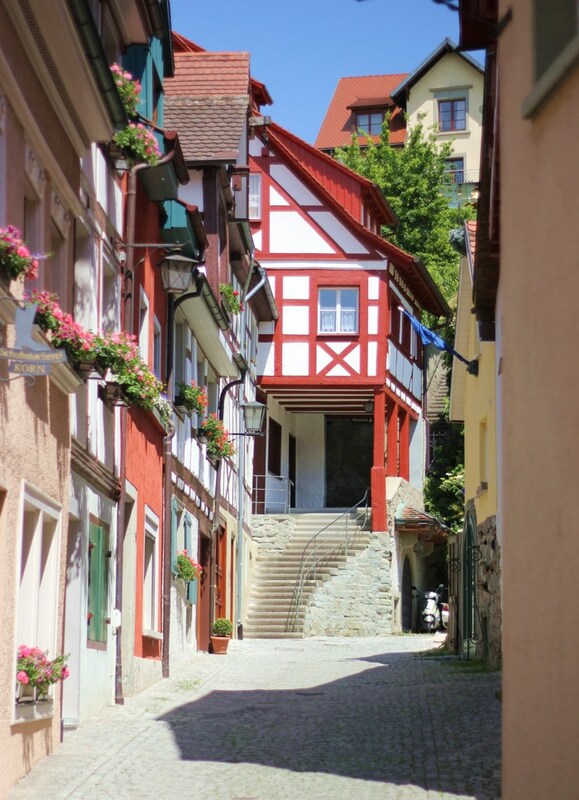 You don’t need to rent a car in Überlingen—almost everything you want to do can be reached on foot, and buses or trains can take you everywhere else. 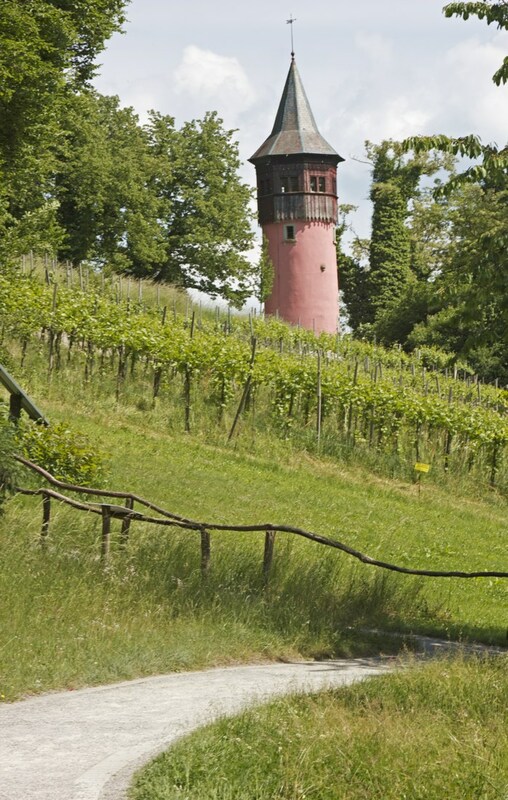 For a fun day trip, I would recommended catching a ferry and going to Insel Mainau. 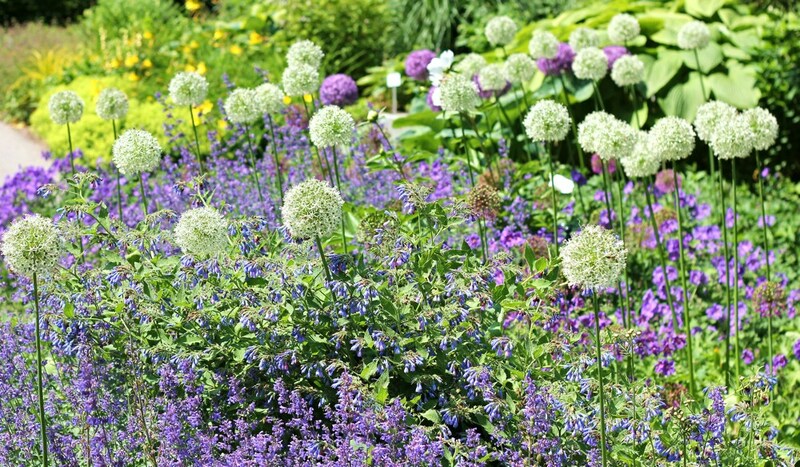 The gardens there are sprawling and absolutely stunning. The island is not only thick with vegetation but with history also—the first settlers on the island date back to 3,000 BC. Überlingen isn’t Rome or Paris. It is off the tourist track and I think that is what makes it so amazing. Visit there and dip yourself in a truly foreign culture that does not tailor to tourists. Indulge in restaurants that don’t have a jot of English on the menu. Venture into shops that don’t sell key chains, cheesy t-shirts, and bobble heads. Live like a European, even if only for a few days.